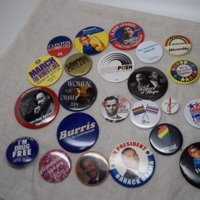 -A plethora of gay pride buttons including Illinois gay pride buttons. -Roland Burris for Governor of Illinois from 2008. 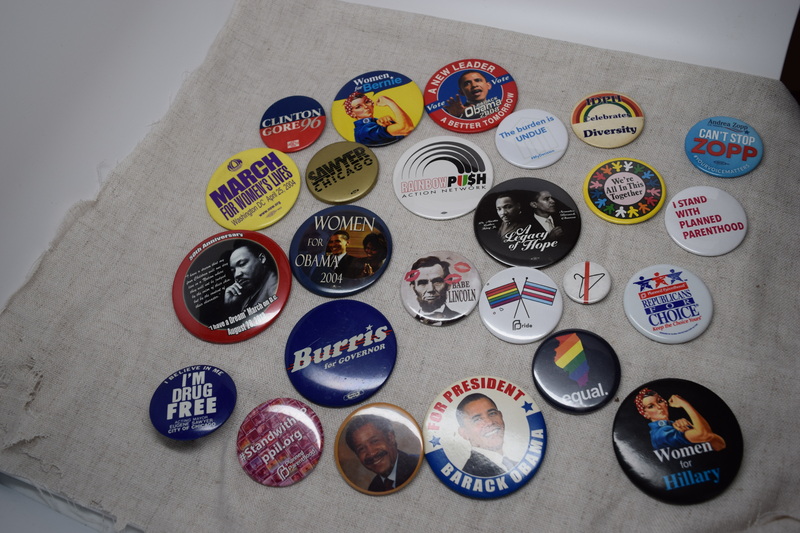 “Miscellaneous Political Buttons (Satirical and Official),” UIS History Harvest, accessed April 18, 2019, http://uishistharv1.uis.edu/items/show/104.